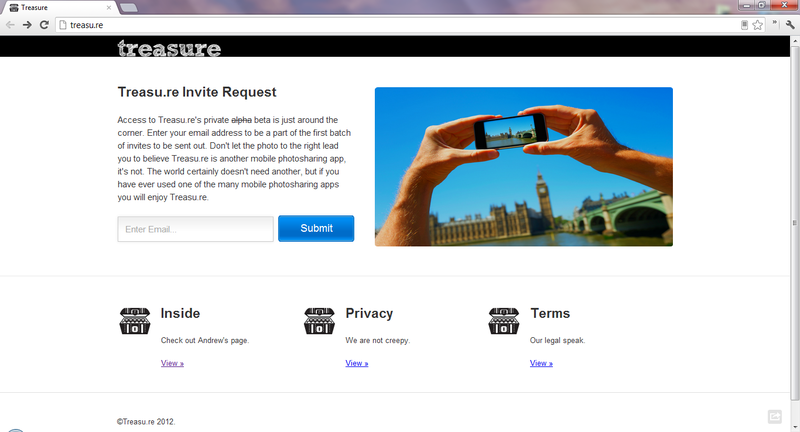 Treasure's website displays all your mobile photos from different services on a customizable page and profile. Your photos, comments, and likes from Instagram, Flickr, Twitpic, Twitter Pics, Facebook, Tumblr, Lockerz, Moby, Yfrog, and Imgly are all brought in. Check out their FAQ to learn more; an API will also be available to developers. Signup today and follow them on Twitter.